Tjota Tonja sounds and looks very strange for somebody who does not speak russian. "Tjota'' (rus. тётя) means ''aunt'' and Tonja (rus. Тоня) is a translation of shorten russian name Antonina. We always shorten our official names. For example my name is Svetlana but my family and my friends call me Svet. And the story of today is about dolls. It is not really my passion, I am not a collector either. 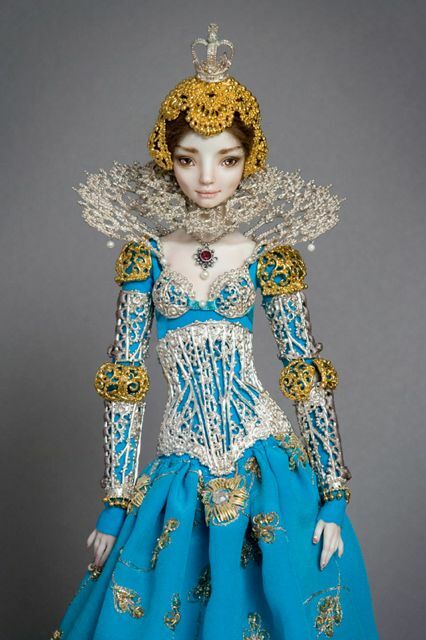 I have discovered recently an interesting blog of Marina Bychkova who makes the extraordinary dolls. 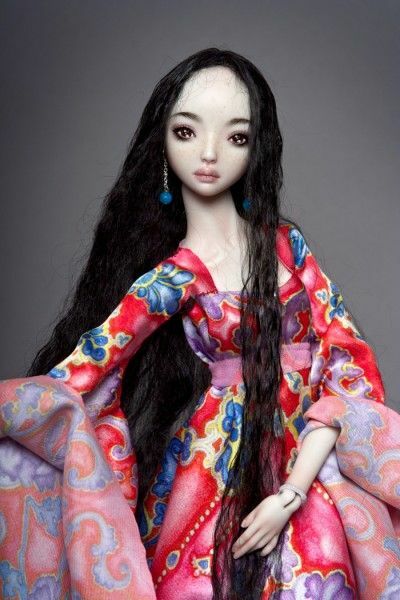 The story of her passion which became a world known with the brand Enchanted Doll called my memories about the dolls from soviet shops. 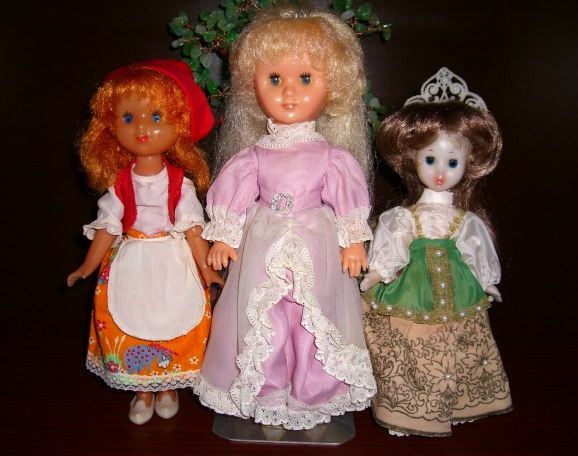 When I was small they sold a very popular doll "Zolyshka'' (Assepoester). I have tried to find the photo on internet of Assepoester which looks like one I had. 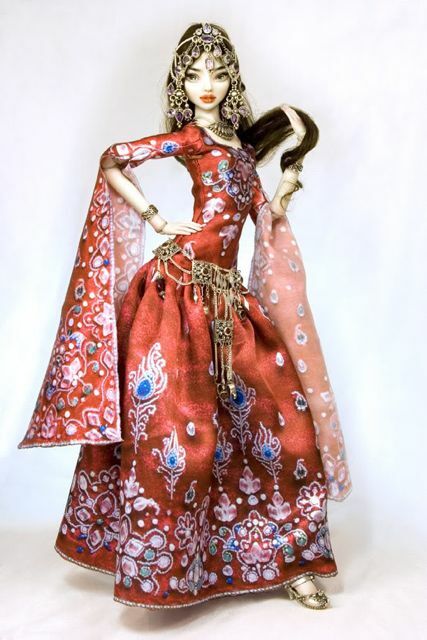 On this site there are many examples of soviet dolls and probably mine was more or less like doll on the picture. I remember I had to choose a toy for my birthday and we went to the shop with my mother. The dolls looked beautiful for me. I have asked my mother to buy the famous Assepoester promising not to damage it and keep it properly. Few weeks after we decided to play a "Hairdresser" with my sister and a poor Assepoester left our hairdresser shop almost bald. All these souvenirs inspired my new upcycling idea - doll Tjota Tonja. I had a T-shirt. As some of my clothes, it finished in the box with a spot on the sleeve. It has a funny applique work of a lady on the front side. The label is ''Antognini Jeans'' from which name Tjota Tonja comes. 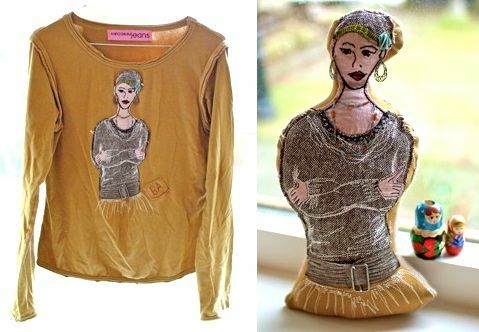 Here there are - my old t-shirt and a doll. Behind I have used my old pull-over. I have 2 sons and they play with cars and constructors. 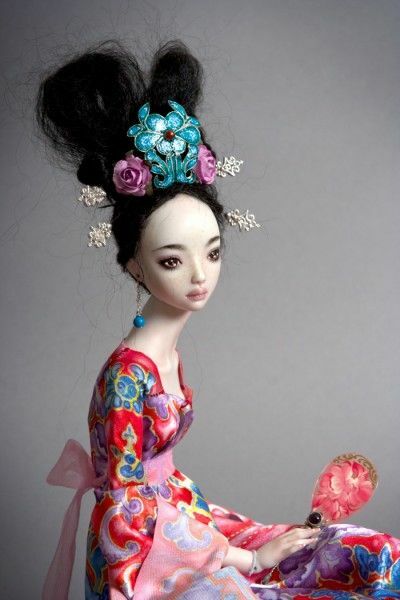 If you like this doll, just write me email with your address and I will send it to you. It can also be used as a small voyage pillow in the car or train. The filling is soft polyester. Tjota Tonja will pack her bags and move to another country. She should be happy, after months in the dark box she will start a new life in the house of a Winner!